Colegio Intercultural Sol & Luna is a multicultural educational project for the children of Urubamba with an inclusive in philosophy which guides them to full integration in a global world. Currently over 200 children from ages 3 throuh 17 years old are educated through this program. 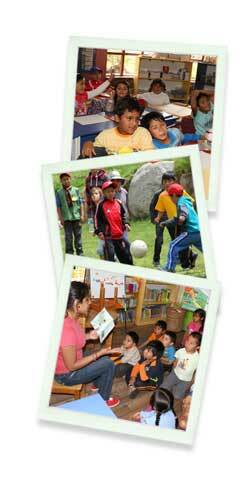 We offer personalized education in a multicultural environment with children of different origins. The languages spoken around our community are Spanish, Quechua, and English, which are taught in our school not only as a means to communicate, but also as important tools that will help us understand and learn from the different cultures that influence us daily. The program of the Sol & Luna School is executed professionally with a staff of skilled teachers who fully embrace our educational concept and have a real connection with our environment.